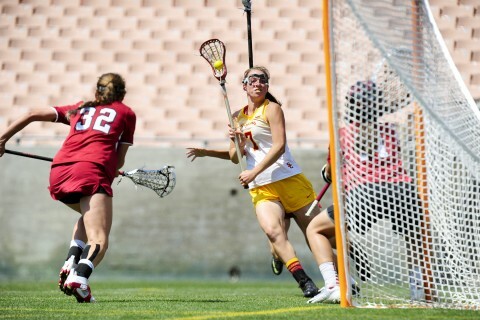 The team holds off a furious Stanford rally in a 14-12 victory on the road in Palo Alto. 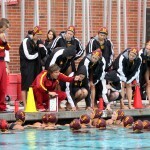 Trojans now hold the women’s record win streak after a 15-2 win over Indiana. 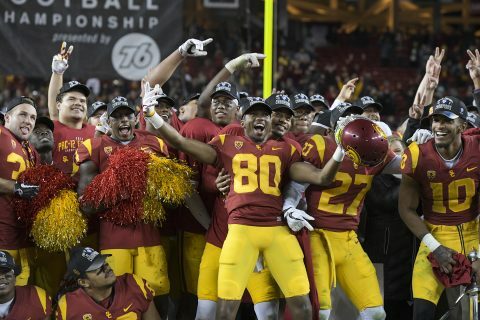 The 8-7 victory over Stanford secured USC’s second undefeated season in program history and its fifth national championship. 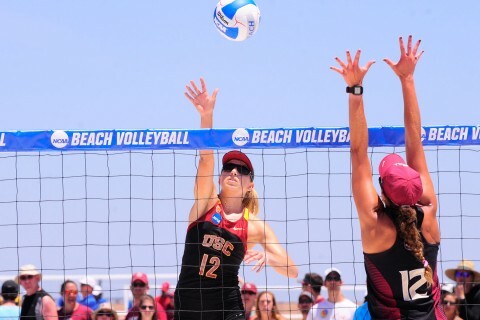 The Trojan athletes went three-for-three in championship play Sunday. 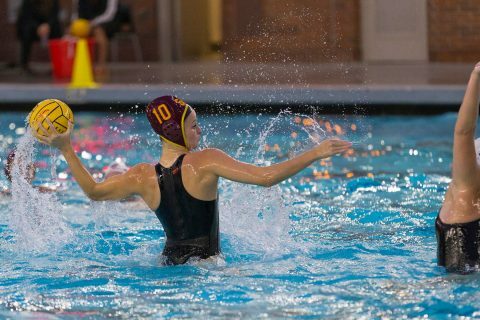 Water polo’s Bolonyai, tennis’s Scandalis and diving’s Ishimatsu and Gear named to Capital One Academic All-District 8 at-large team. 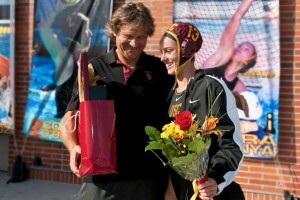 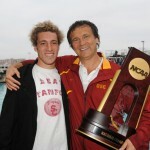 Women's water polo coach Jovan Vavic congratulates Flora Bolonyai on Senior Day, April 16, against UCLA. 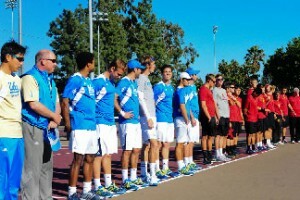 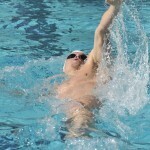 The events pit six nationally ranked teams against each other. 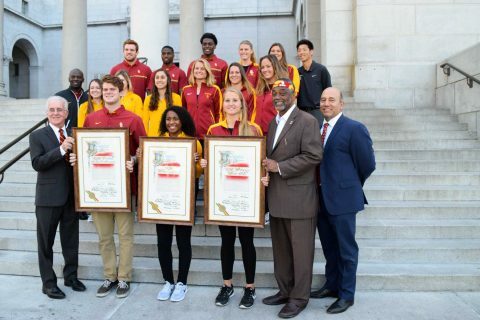 Junior women’s water polo goalie Flora Bolonyai and senior men’s swimmer Alex Lendrum have been named to the Capital One Academic All-America First Team, the first Trojan pair to collect the honors in the same year since 1995-96. 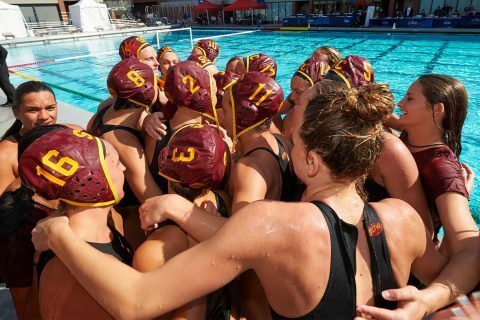 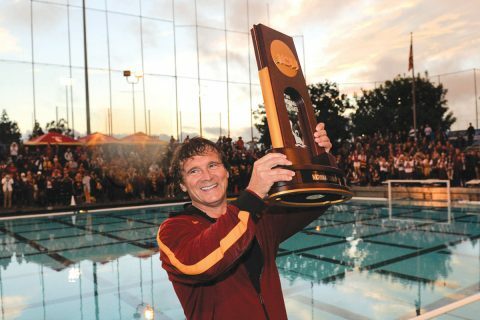 The scene: The USC men’s water polo team was swimming in its own home pool at this year’s NCAA tournament championship match against its crosstown rival, the UCLA Bruins.